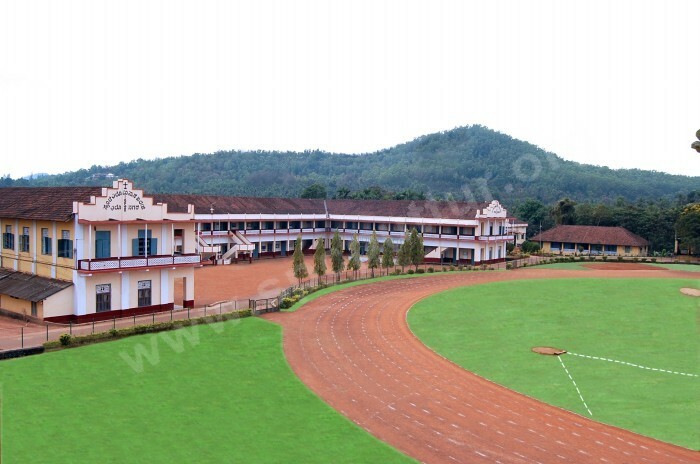 St Philomena College Puttur bagged an excellent grade of “A” with a Cumulative Grade Point Average (CGPA) of 3.19 in the third cycle of accreditation. The NAAC peer team comprising of eminent academic experts visited the college during April 4-6 2016. The team consisted Prof. Ashish Roy, former Vice Chancellor, Kalyani University, West Bengal as the chairman, Prof. Murli Desai, former Professor and Head, Tata Institute of Social Sciences, Mumbai as the member coordinator and Dr. Pande R K , Principal, Shiv Harsh Kisan PG College Basti, Uttar Pradesh as the member. Peer team has expressed high appreciation with regard to the curricular aspects, teaching, learning, research, consultancy, extension activities, infrastructure, learning resources, student support and progression, governance, leadership and management, innovations and best practices introduced in the college. On this happy occasion, President of Catholic Board of Education Most Rev. Dr Aloysius Paul D’Souza, Secretary Very Rev. Fr Gerald D’Souza, Correspondent Rev. Fr Alfred J Pinto, Principal Prof. Leo Noronha, Campus Director Rev. Dr Antony Prakash Monteiro and NAAC Steering Committee Coordinator Prof. Ganesh Bhat congratulated the stakeholders including the management, staff, students, alumni and parents.